The O-N acyl transfer reaction has gained significant popularity in peptide and medicinal chem. This reaction has been successfully applied to the synthesis of difficult sequence-contg. 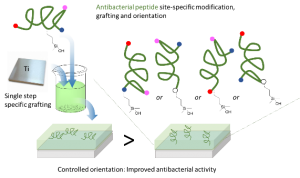 peptides, cyclic peptides, epimerization-free fragment coupling and more recently, to switchable peptide polymers. 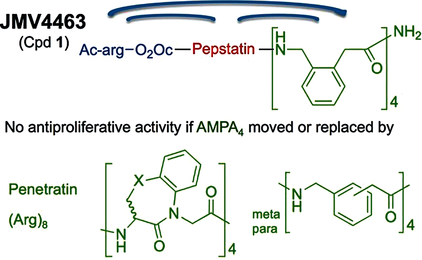 Herein, we describe a related strategy to facilitate the synthesis and purifn. of a hydrophobic stapled peptide. The staple consists of a serine linked through an amide bond formed from its carboxylic acid function and the side chain amino group of diaminopropionic acid and through an ester bond formed from its amino group and the side chain carboxylic acid function of aspartic acid. The α-amino group of serine was protonated during purifn. Interestingly, when the peptide was placed at physiol. pH, the free amino group initiated the O-N shift reducing the staple length by one atom, leading to a more hydrophobic stapled peptide. 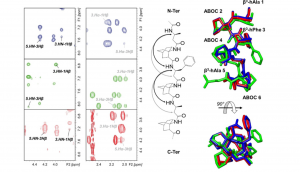 We developed a simple and straightforward way to dimerize unprotected peptide sequences that relies on a chemoselective condensation of hybrid peptides bearing a hydroxydimethylsilyl group at a chosen position (either C-ter, N-ter or side-chain linked) to generate siloxane bonds upon freeze-drying. Interestingly, the siloxane bond sensitivity to hydrolysis is strongly pH-dependent. Thus, we investigated the stability of siloxane dimers in different exptl. conditions. For that purpose, 29Si, 13C and 1H NMR spectra were recorded to accurately quantify the ratio of dimer/monomer. More interestingly, we showed that 1H resonances of the methylene and Me groups connected to the Si can be used as sensitive probes to monitor siloxane hydrolysis and to det. the half-lives of the dimers. Importantly, we showed that the dimers were rather stable at pH 7.4 (t1/2 ≈ 400 h) and we applied the dimerization strategy to bioactive sequences. Once optimized, three dimers of the growth hormone releasing hexapeptide (GHRP-6) were prepd. Interestingly, their pharmacol. evaluation revealed that the activity of the dimeric ligands could be switched from agonist to inverse agonist depending on the position of dimerization. Protein arginine N-Me transferases (PRMTs) belong to a family of enzymes that modulate the epigenetic code through modifications of histones. In the present study, peptides emerging from a phage display screening were modified in the search for PRMT inhibitors through substitution with non-proteinogenic amino acids, N-alkylation of the peptide backbone, and incorporation of constrained dipeptide mimics. One of the modified peptides (23) showed an increased inhibitory activity towards several PRMTs in the low μM range and the conformational preference of this peptide was investigated and compared with the original hit using CD and NMR spectroscopy. 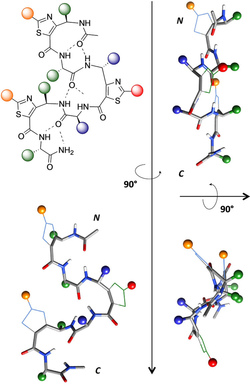 Introducing two constrained tryptophan residue mimics (L-Aia) spaced by a single amino acid was found to induce a unique turn structure stabilized by a hydrogen bond and arom. 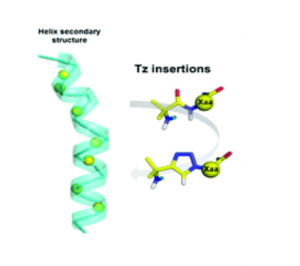 π-stacking interaction between the two L-Aia residues.